It didn’t take much time for the trees to show the results of the poison. The following April the trees would be celebrated and rolled one last time in our big send off. My post on the last roll can be found here! 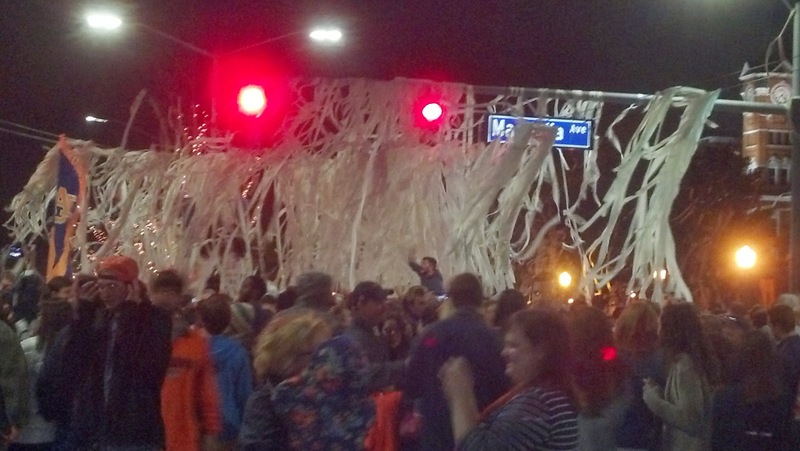 A make shift way of continuing our tradition of rolling Toomer’s Corner with toilet paper did continue. Wire lines were installed across the intersection at Toomer’s Corner and the wires along with every tree downtown were rolled! Honey grew up here in Auburn and is very quick to remind folks that the trees themselves were not always rolled but the power lines that were downtown were rolled instead. So to have wires that get rolled weren’t far from the original tradition. With the removal of the poisoned oaks, plans were drawn up for a revision of Samford Plaza and Toomer’s Corner. The fans and family have waited patiently for years for the planting of Auburn Oaks. On a cold Valentine’s Day this year we joined many of the Auburn Family to finally see the descendants of the original live oaks planted. How fitting the day since we all love those trees and the tradition. The Tree below sit on College Street. This Tree is going in on Magnolia. They’ve asked that we not roll them until the Fall of 2016 to let them get use to their new environment/home. The Corner has looked bare to those of us that live here day in and day out. I drive by the spot everyday twice a day and the trees have been sorely missed! So I leave you with this photo of the new trees and a line of the Auburn Creed. 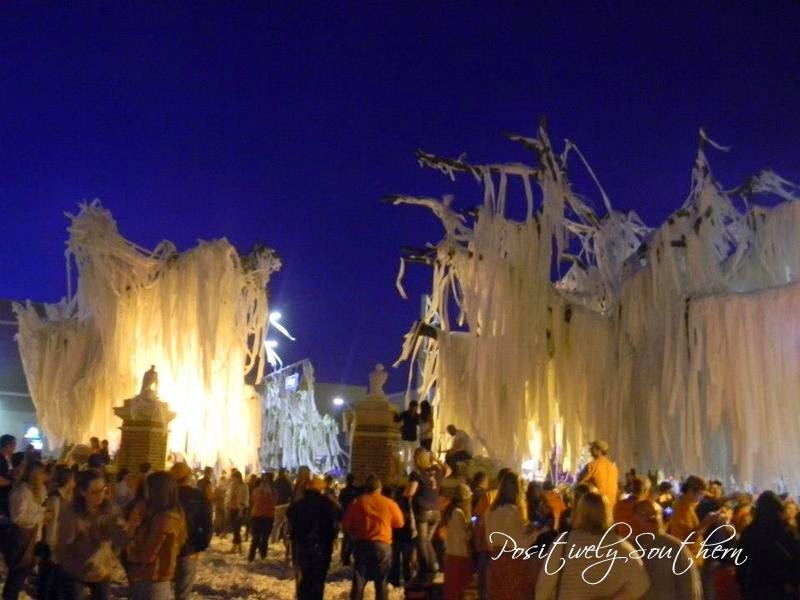 I believe in Auburn….and love it! War Eagle Tamyra! Love the pics! 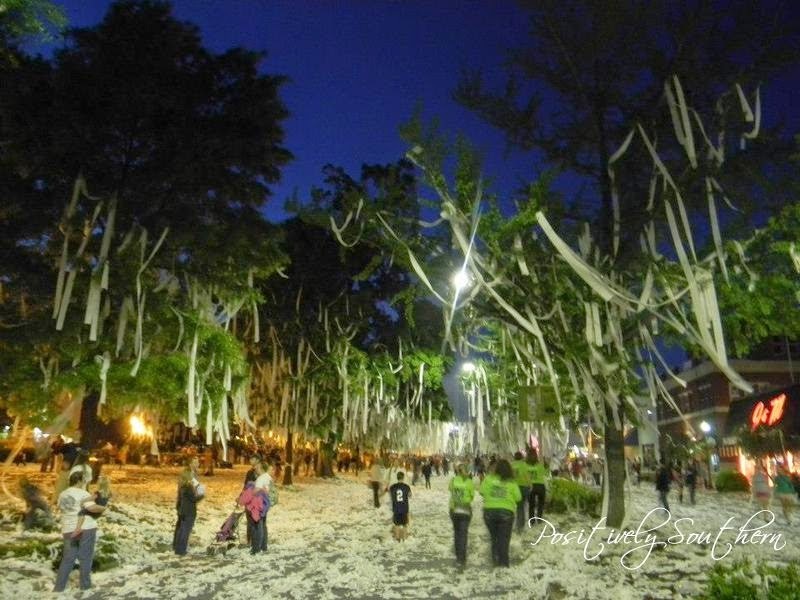 My hubby and I went to Auburn as well and were very sad to see what happened to the trees. Very excited to see new ones in place!